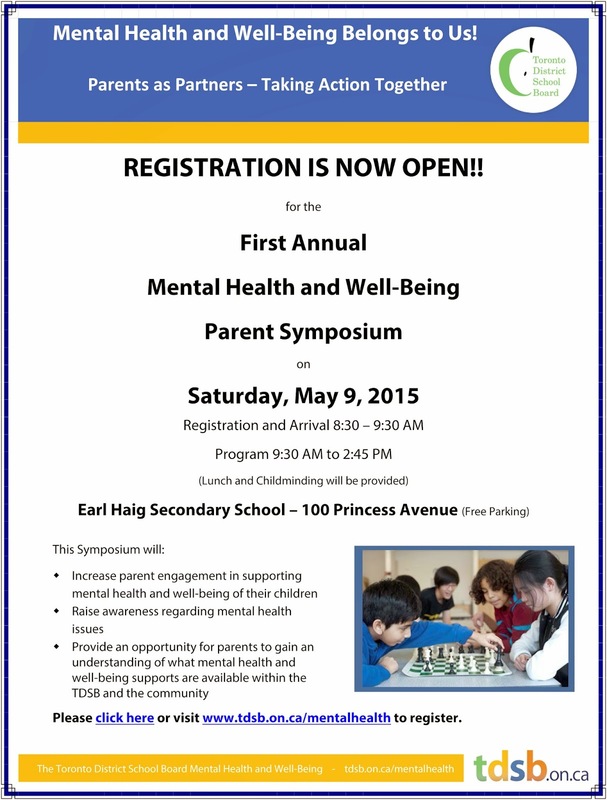 To register please click here or visit www.tdsb.on.ca/mentalhealth. 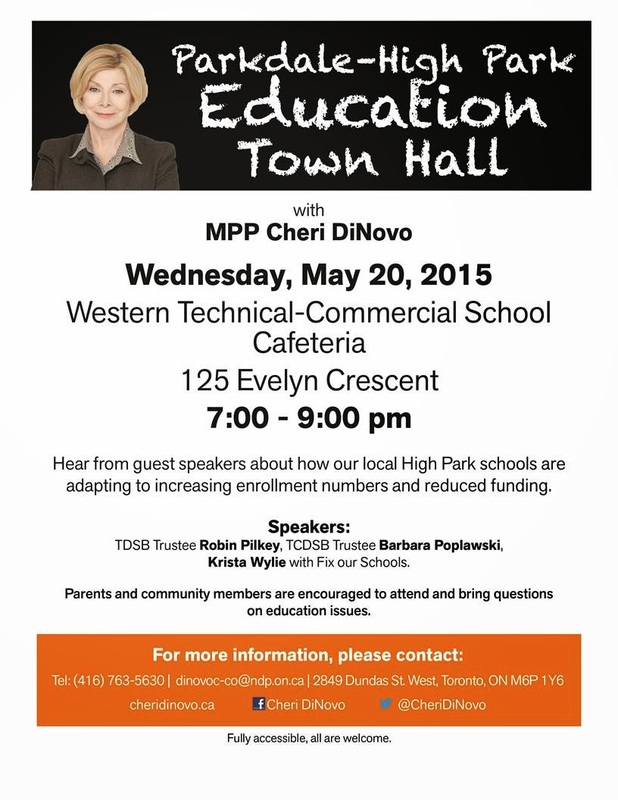 In response to constituent feedback concerning the numerous changes occurring in our schools as result of redevelopment intensification and reduced funding, MPP Cheri DiNovo is hosting an Education Town Hall on May 20th 2015, (7-9PM) at Western Technical-Commercial School. With a focus on local issues, the agenda will involve a panel discussion and an opportunity to ask questions. Cheri has pulled together a panel that will includeTCDSB Ward 10 Trustee Barbara Poplawski, TDSB Ward 7 Trustee Robin Pilkey, & Krista Wylie with Fix Our Schools. IRC Spirit Day is coming this Friday April 24th. 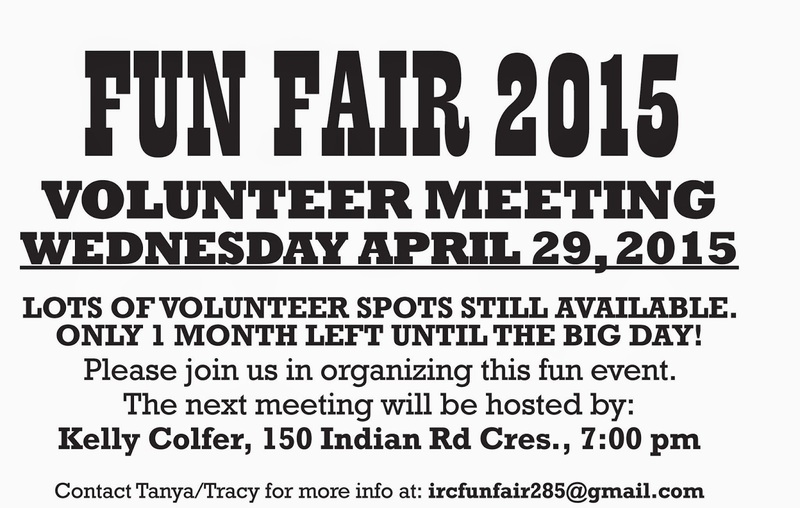 Please be advised that the Fun Fair meeting for tonight, tuesday April 21st, has been cancelled and will be rescheduled at a later time. You are invited to I.R.C. 's Music Monday concert. Music Monday is a yearly, national celebration of music education. IRC students will be singing at 9 a.m on May 4th outside near the play structure. 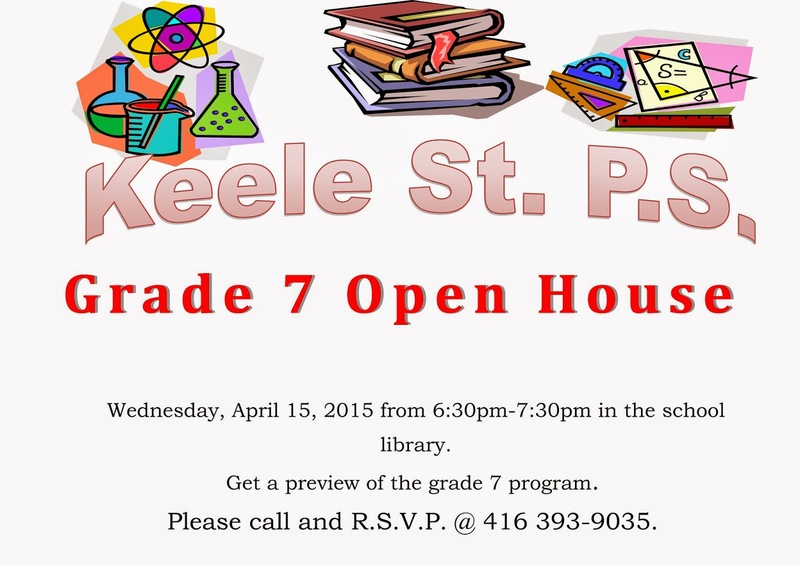 All Kindergarten, Grade 1 and Grade 2 classes will be involved and performing 4 pieces for you. Hoping you can make it! The parent council meeting that was due to occur last Tuesday 14th was cancelled last minute and so therefore we have rescheduled for this Wednesday 22nd from 6:30pm - 7:30pm (during Movie night). Please be advised that there will be child care available in the gym during the movie night if parents are interested in attending the meeting. 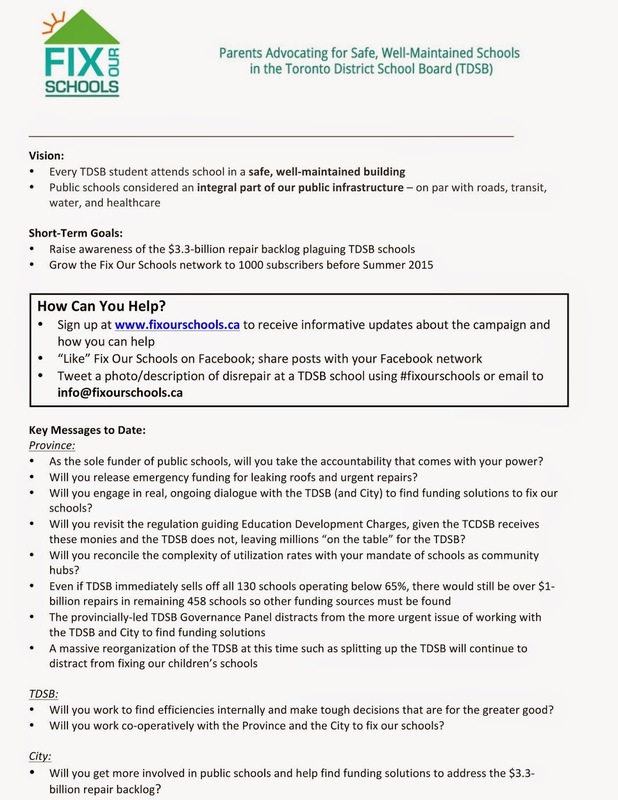 There are a number of hot topics to discuss including a technology update, cuts in 2015/2016 fiscal TDSB budget and what that means to our school and spacing requirements for 2015/2016 and where to put students. BAM! 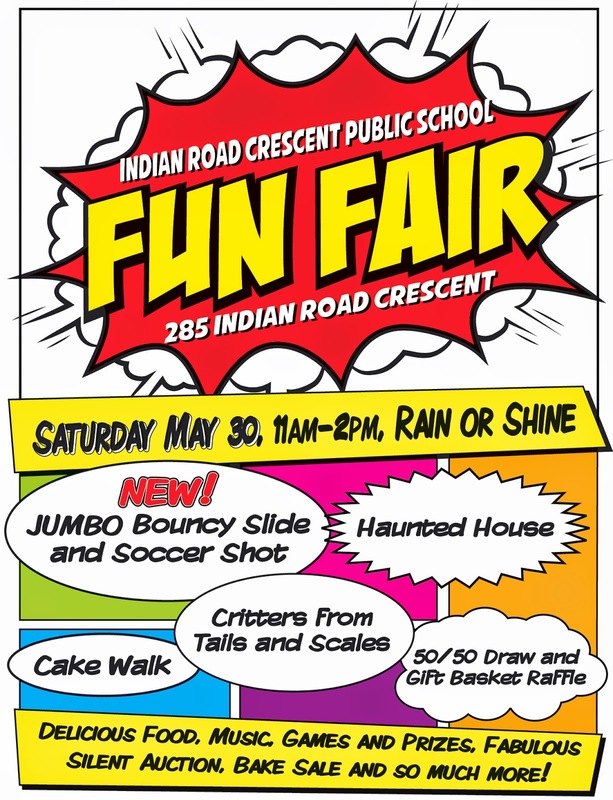 THE IRC FUN FAIR IS COMING!!!! 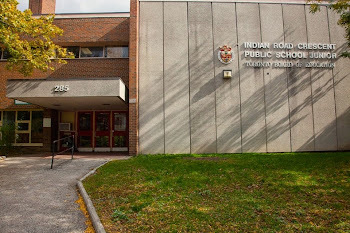 Ontario is moving forward with its commitment to review the governance structure at the Toronto District School Board with the launch of public consultations. 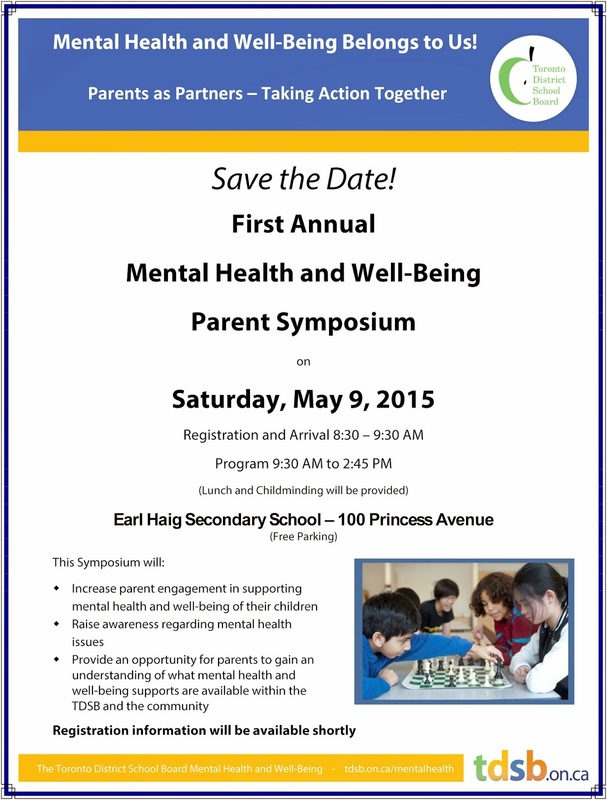 April 13, 2015 at the North Toronto Community Centre. This is an opportunity to share how well the system is working for our students and families, as well as to provide suggestions for areas of refinement. 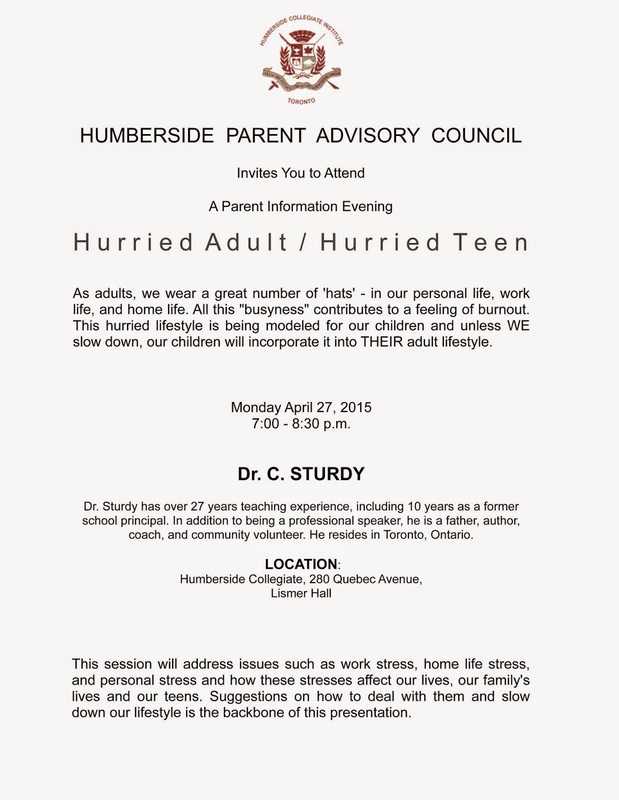 Tomorrow's (tuesday) Parent Council Meeting has been cancelled. The meeting will be rescheduled for a later time. It's easy to sign up - just click here. Or click on the button on the right hand side to be taken directly to volunteer sign up form.